I’ll be honest, I’ve been sitting on this review for several days because of a wide variety of FEELINGS. .
Goodbye Days, like The Serpent King, is another love letter to the South and I love this obvious part of Zentner that he pours into his stories. (even saw a little shout out to @parnassusbooks in there!) . After shooting a text message to his buddies “Where are you guys, text me back” while they are driving, Carver Briggs learns that his three best friends were all killed in a car accident, and that it was probably because the driver was responding to his text. .
What follows is a pretty heavy story of loss and guilt and how everyone involved, especially Carver, handle it. How would you deal with the loss of your child or sibling? The loss of your best friend? What if it was someone’s fault they died? What if it was YOUR fault? And what about that sudden crushing curiosity of what happens when you die? . When it comes to the feelings in this story, I found them incredibly authentic and believable. I was right there with Carver when I put myself into his shoes, and the effect was some times crippling. This is one of Zentner's great skills, I think. To make the reader experience feelings as if they were the character. I do have to admit that the addition of the romance wasn’t for me. For me it was more of a distraction and I think its why I didn’t shed any tears during this read. 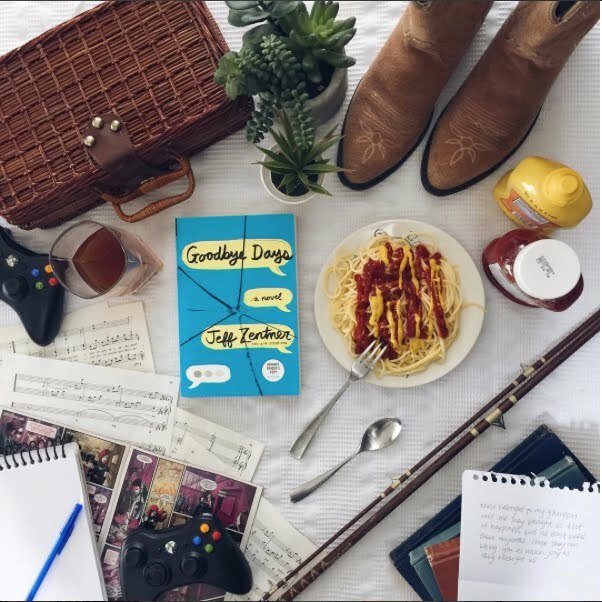 (Ask anyone who knows me well, my heart for romance in contemporary novels is downright miserly, so I get that this is very much a ME thing.) . This story is about relationships, and Zentner includes ALL of them, which is amazing. 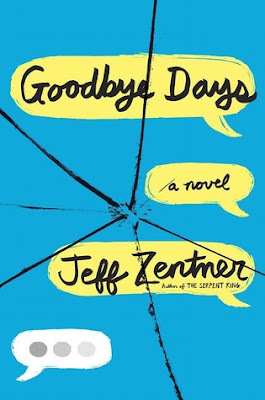 So often families and parents are left out of YA. .
Zentner balances the grief-filled pages with happy/funny memories and flashbacks to Carver messing around with his friends and it’s enough to take the edge off, but do be prepared for a heavier vibe. .
Goodbye Days will take you to church on life and mistakes and consequences and learning to cope, heal, move on, forgive—and for this alone, I recommend this read.